Save Me From My Amnesia is my one life work that is inspired by the African American quest for freedom and liberty. The central theme of these works emanates from letters and other documents that authenticate and disclose the stories that serve as vestiges of memory, reclamation and unique experience. 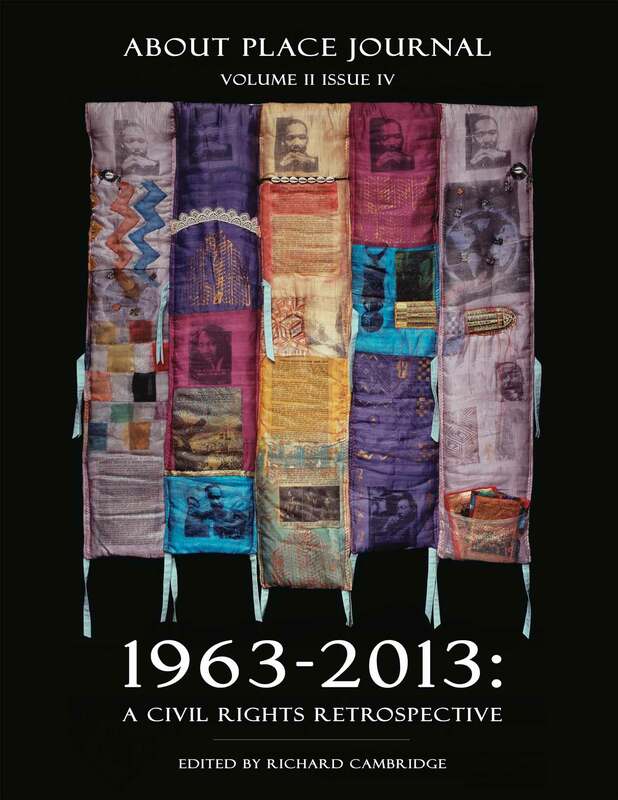 This documentary quilt “From a Birmingham Jail: MLK”, is one of the quilted chronicles that documents people, places and events, celebrating their stories as important and significant points of African American, African Diaspora and American history. The quilt deifies the life and work of Dr. Martin Luther King. In his response to the clergy embodied in a letter he wrote in 1957, while jailed for his stance on Civil Rights in Birmingham, Alabama, Dr. King extolled the need for more of what his accusers, the clergy, termed “Creative Extremists”. 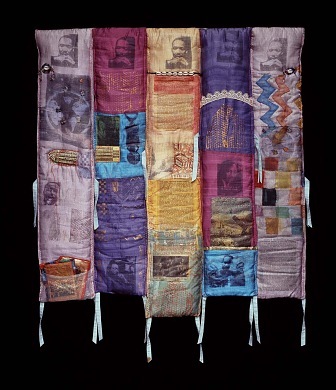 The quilt contains excerpts from other speeches and events of his life and is presented in the format of African traditional strip quilting, often used to call for protection of the community via the presence of the ancestors. 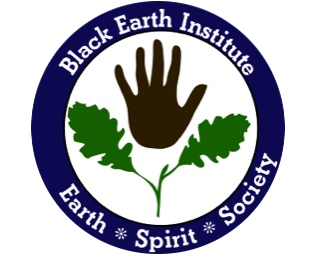 Much of the iconography in the quilt honors Central and West African traditional and mask symbols. The quilt celebrates the Rev. Dr. Martin Luther King’s accomplishments as a change agent in the world as an activist, peacemaker and tireless leader of humanity. The quilt is owned by the Smithsonian Institute’s Renwick Gallery.